Chamisa files court challenge against Mnangagwa - SABC News - Breaking news, special reports, world, business, sport coverage of all South African current events. Africa's news leader. Emmerson Mnangagwa's inauguration would have to wait for the outcome of Nelson Chamisa's challenge. Zimbabwe’s main opposition leader, Nelson Chamisa has filed a court challenge against President Emmerson Mnangagwa’s election victory. A move that will delay Mnangagwa’s inauguration scheduled for Sunday. Meanwhile, Zanu-PF’s legal affairs Paul Mangwana says the party hasn’t received papers yet. Under the Constitution, a losing presidential candidate has seven days to challenge the results from the time a winner is declared. The Constitutional Court must rule within 14 days. Mnangagwa’s inauguration would have to wait for the outcome of Chamisa’s challenge. Earlier in August the Zimbabwe Electoral Commission declared Mnangagwa a winner following 2.46 million votes against 2.15 million for the 40-year-old Chamisa. The MDC alleges fraud and vote rigging despite an endorsement by SADC observers. Two days after the July 30 polls, six people were killed in an army crackdown on protests against the victory by Mnangagwa’s ruling Zanu-PF party. Zimbabwe President Emmerson Mnangagwa’s governing ZANU-PF party says it’s confident that opposition leader Nelson Chamisa has no case after he challenged last week’s election results in court. 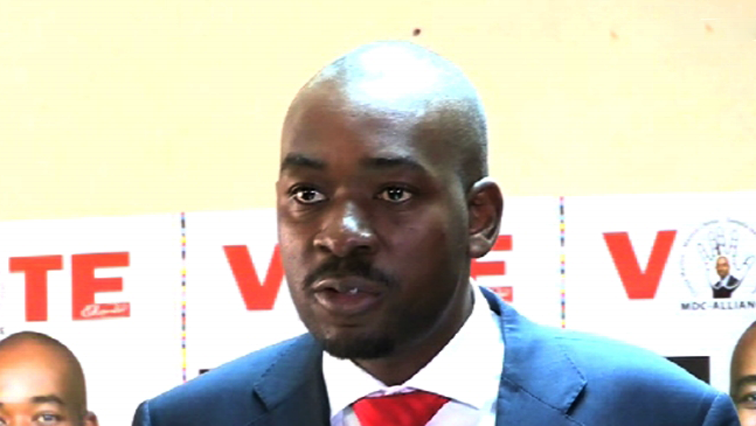 Chamisa’s MDC alliance maintains that outcome was rigged to ensure a victory for the incumbent. ZANU-PF legal secretary Paul Mangwana says they have sufficient legal minds to meet the MDC squarely in court. Mnangagwa’s inauguration, which was planned for Sunday, has been put on hold pending the Constitutional Court’s judgment. This entry was posted on 10 Aug 2018,08:46PM at 8:46 PM and is filed under Africa, News, Homepage Latest Stories Slider, Homepage Featured Story Slider. You can follow any responses to this entry through the RSS 2.0 feed. Both comments and pings are currently closed.